Conexon is proud to announce a key addition to their rapidly expanding team assisting electric cooperatives with their fiber to the home decisions and deployment. This new role, Vice President of Operations, has been filled by Andy Burger. Andy’s experience with fiber to the home deployment at an electric cooperative is unmatched in the industry. Andy started working on FTTH at Co-Mo Connect in 2012 after the Co-Mo board of directors approved a four-phase buildout of their entire 2,300 square mile footprint. As the Network Administrator and Network Operations Manager he was responsible for the network design, architecture, and operations of the Internet, Voice and IPTV networks. 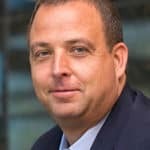 In December 2015 Andy took over as the General Manager of Co-Mo Connect responsible for all aspects of the Co-Mo deployment and operations including outside plant, marketing, customer service, and continuing to play a critical role with the network architecture and performance. Andy’s previous experience includes being a Technical Services Engineer at a banking software company and a Network Administrator for the State of Missouri Treasurer’s office. Andy’s contribution to Co-Mo enabled the cooperative to be the first and only electric cooperative in the country to make gigabit fiber to the home service available to every one of its members and to do so without government subsidy or grants. Andy was instrumental in launching the first rural electric cooperative gigabit residential service offering. Conexon, founded in 2015, continues to lead with deployment and operational experience assisting well over 75 electric cooperatives with fiber to the home planning and deployment assistance. Randy’s experience began in software development in the agriculture industry where lack of rural broadband quickly became very evident. In 1999, he began his first broadband project at a rural electric cooperative culminating in a 3,000 square mile fixed wireless network. In 2015, Randy formed Conexon, LLC to assist rural electric cooperatives with fiber to the home project decisions and implementations.